You ever listen to a Hip-Hop song and hear a beat, interpolation, or a hook that sounds like it came from an old school record? We got you!!! 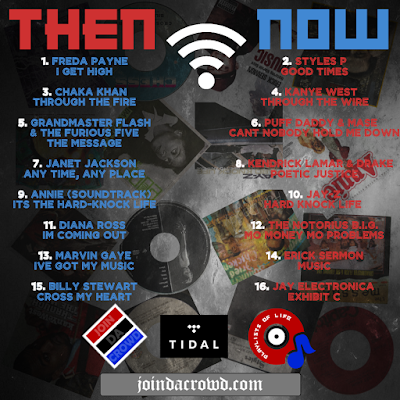 Featuring 8 popular Hip-Hop songs being streamed right after the 8 original songs that it was sampled from. 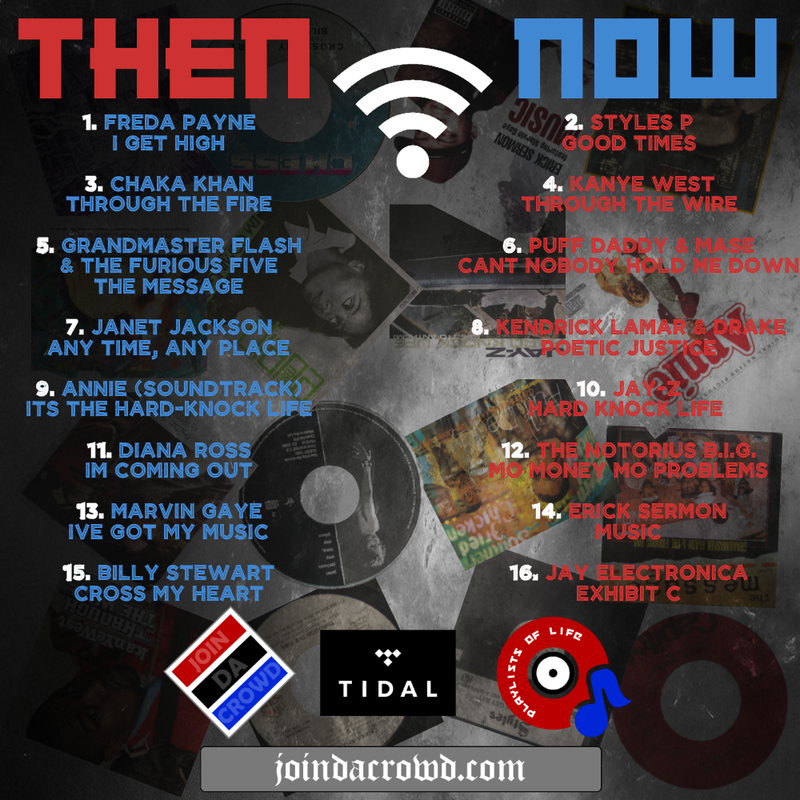 Here is our Then & Now series. If you've ever wondered what record was used to create Kanye's "Through The Wire" or where the hook came from for Biggie's "Mo Money Mo Problems" or better yet what song was sampled to make Jay Electronica's "Exhibit C" soo monumental, this is the playlist that exposes it all... and this is just Volume 1. Mean!!!!! Motzy says...... 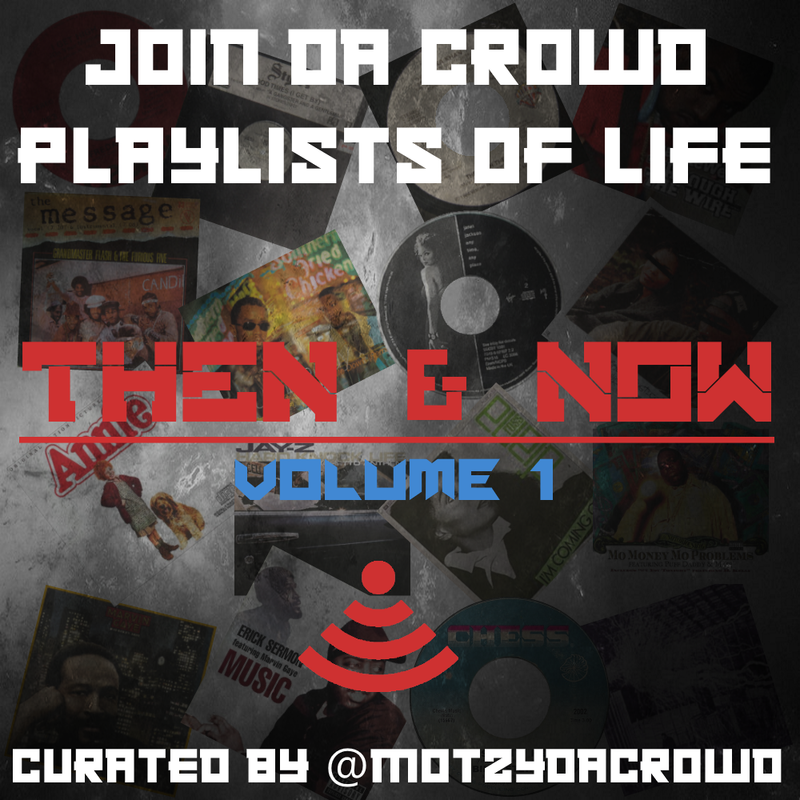 This playlist came to mind when I realized that the Styles P song "Good Times" had a familiar sample that I heard before when I was younger. It was the Freda Payne, "I Get High" record from back in the day. Such a dope song. It inspired me to find the samples of other Hip-Hop records. There were soo many that I came across but these 8 were the ones I loved the most for this particular playlist. I know there are probably many more going through your mind right now so I decided to break them down in volumes that will be released on later dates. 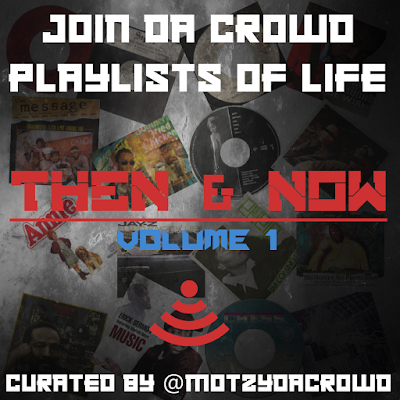 In the meantime enjoy the first 8 of this volume series which tracks this playlist to 16 songs. The 8 originals from THEN and the 8 sampled remakes of NOW and this is just the start. Enjoy!! !